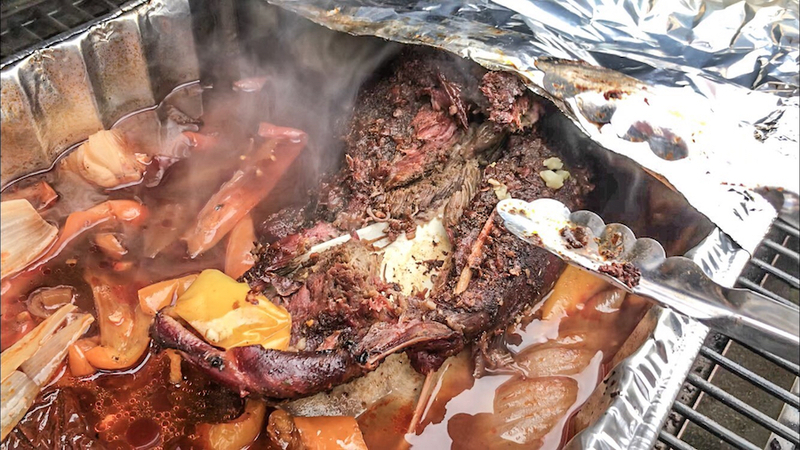 Article and recipe provided by Dallen Christensen, our own Muley Freak Influencer Marketing Manager. At some point most of us faced the question what to do with the front shoulder or quarter of that recently killed buck. The front shoulder is much smaller than the rear quarter and kinda looks a little less appetizing with smaller dark colored muscles, tendons and silver skin. 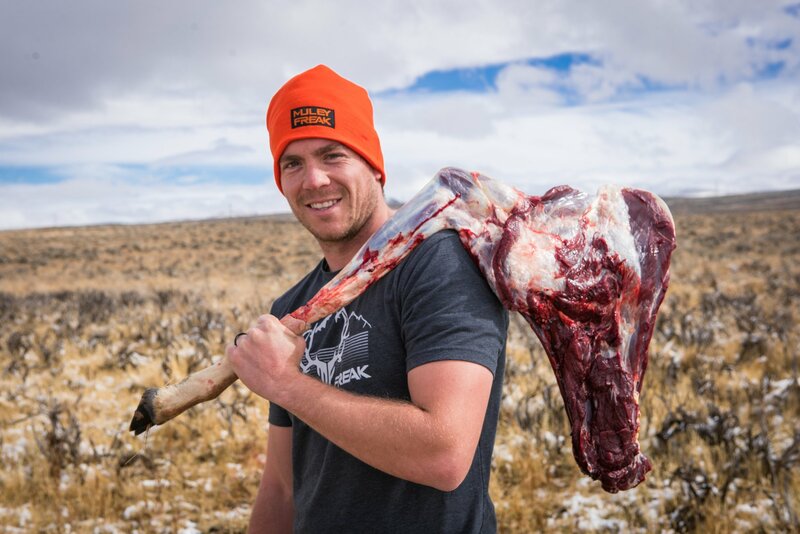 Many hunters de-bone it and toss it in the burger pile or cut it up for stew meat. 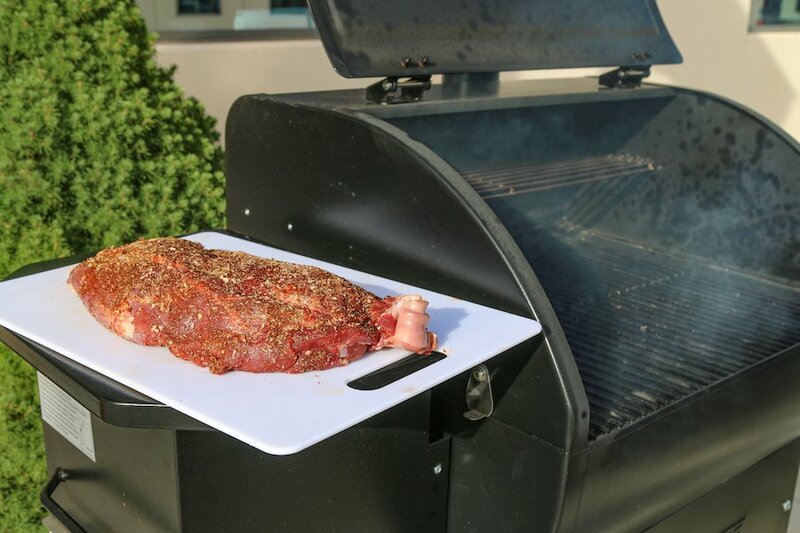 There’s actually another really delicious option for that front shoulder that only requires a quick cut around the elbow and then it’s ready to be cooked bone in, the lazy boy way. 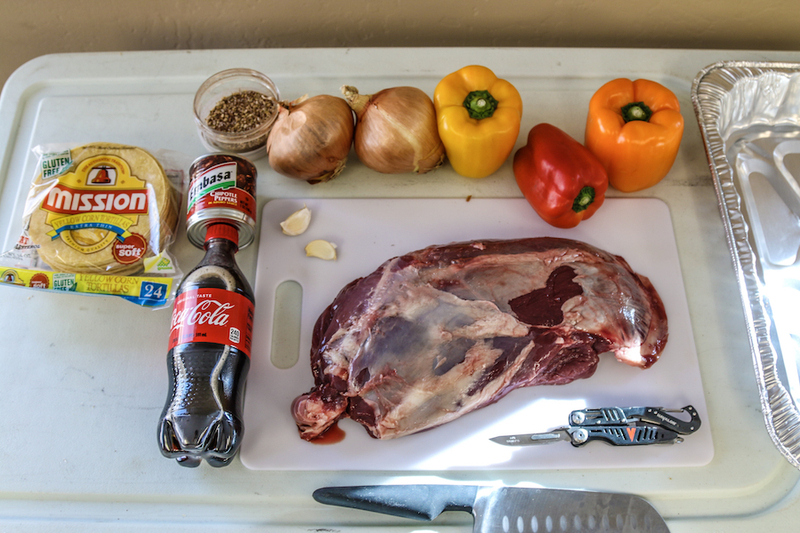 In this article learn how to make slow cooked pulled deer tacos with a whole, bone-in venison front shoulder. No strings (tendons) attached. Remove your shoulder from the freezer or fridge and let it thaw. Once the meat is thawed begin to remove the silver skin and/or sinew, excess fat deposits, etc… It’s not necessary to remove all visible silver skin before cooking as most of it will cook away. 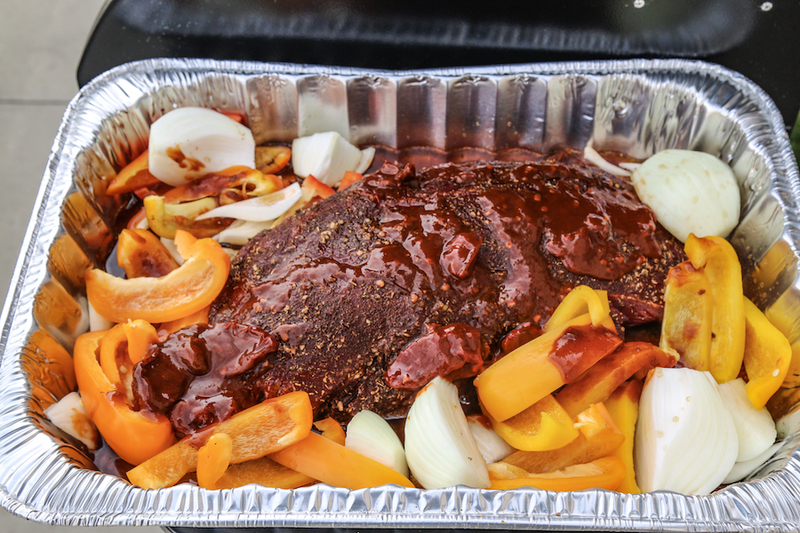 Preheat the smoker to about 225 degrees F.
Let the meat temp rise to about room temperature, allowing the surface of the meat to become somewhat tacky. Here you will take all of your spices and completely cover the surface of the meat. Place the Shoulder alone on the smoker and let sit for about 3 hours so a nice crust forms on the meat. Once the meat has been cooking for about 3 hours, remove the meat, and place in a 13 X 20 foil pan, add the quartered onions, peppers, and minced garlic. Pour the can or bottle of coke over the ingredients, then add the half can of chipotle peppers (use the full can if you really like to get things spicy). 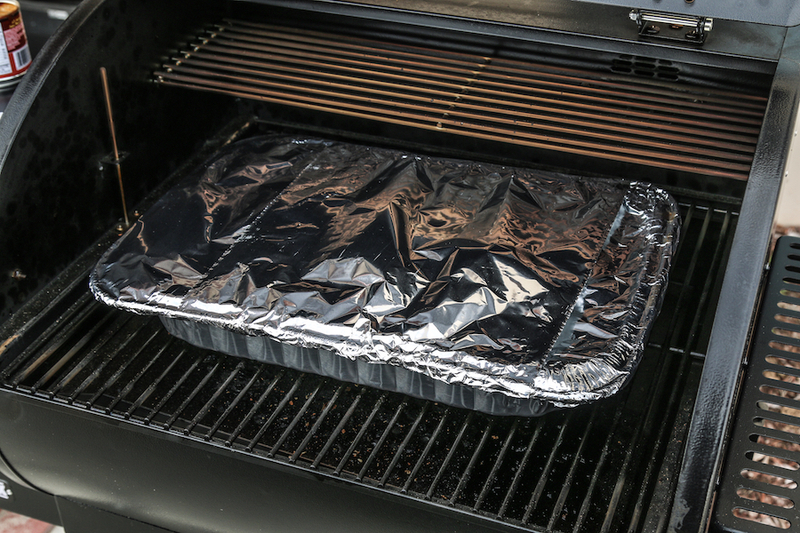 Increase the temperature to 300, cover with tinfoil and place into smoker for another 3 hours. ** this can also be done in a slow cooker. Follow the previous step, and add all ingredients to the slow cooker pot, put the lid on, and cook on high, or around 300 for about 6 hours. Now that we’ve been patient for 6 hours it’s time to open it up and see the results. 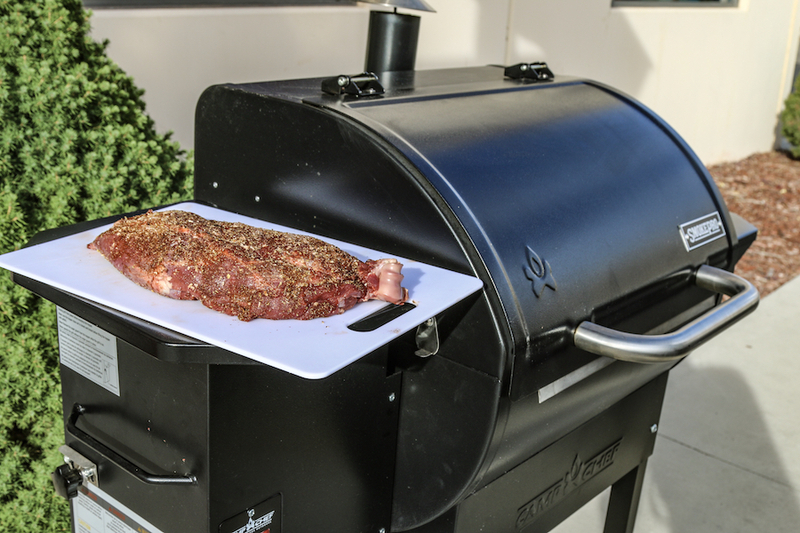 If your meat is tender and able to pull away with just a fork, it’s time to pull it off the smoker and get ready to eat. If it is starting to get tender, but not quite fall-off-the-bone, cover your tin back up and cook for another hour or two, checking every 30 minutes for tenderness. ** people using slow cookers can use this same protocol and will have near identical results. 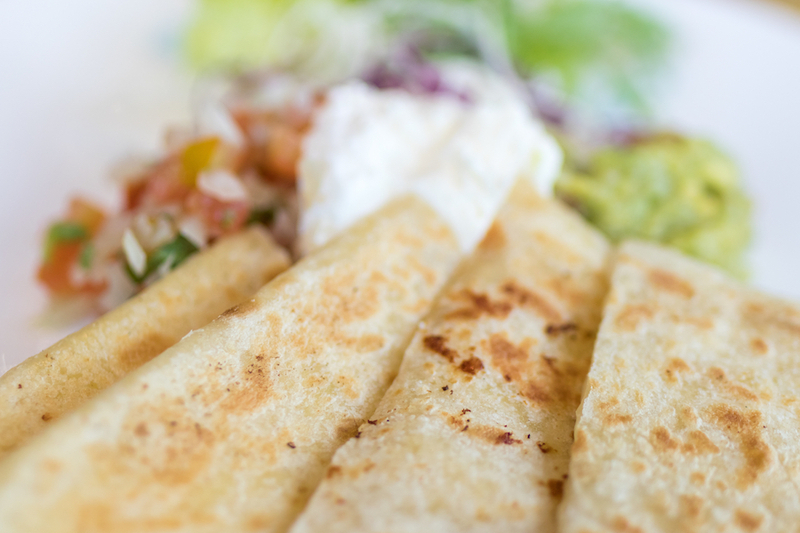 Once your meat is melting off the bone, it’s time to set out the tortillas, sour cream, guacamole, and any other toppings you like to garnish your tacos, and dig in! Don’t forget to add those onions and peppers to your taco. You might have a lot of leftovers for the next week if you didn’t invite enough people over. This front shoulder recipe has never let us down and is always a hit. Keeping that front shoulders whole gives you an excuse to make giant pans of taco meat for parties, and jumbo pot roasts with potatoes and carrots to invite friends and family over to enjoy that wild game harvest. Let us know in the comments below if you do this recipe and how it turns out, or any changes you would suggest. Happy feasting!